Should President Recep Tayyip Erdoğan's AK Party not win a majority of seats in the Nov. 1 vote, the mainstream media hold that his power will diminish. The headline of a much-circulated Reuters analysis sums up this view: "Erdoğan seen with little choice but to share power after Turkish vote." Agence France-Presse predicts that winning less than half the seats "would again force [the AKP] to share power or call yet another election." Almost identically, Middle East Online sees this situation forcing the AKP "to share power or organise yet another election." And so on, almost invariably including the words "share power." 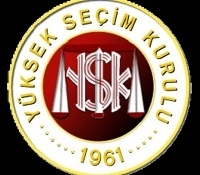 The Supreme Election Board (Yüksek Seçim Kurulu) oversees voting in Turkey; will it be forced to rig the election on Nov. 1? But what if Erdoğan chooses not to share power? He then has two options. If the results are close, election fraud is a distinct possibility; reports suggest sophisticated software (think Volkswagen) to skew the results. If the results are not close, Erdoğan can sideline the parliament, the prime minister, the other ministers, and the whole damn government. This sidelining option, which the press ignores as a possibility, follows directly from Erdoğan's past actions. Since he left the prime ministry in August 2014 to become Turkey's president, he has diminished his old office, depriving it of nearly all authority. He turned it over to a professorial foreign-policy theorist with no political base, Ahmet Davutoğlu, and controls him so tightly that Davutoğlu cannot even decide on his own aides (who also double as Erdoğan's informants). At the same time, Erdoğan built himself a 1,005-room presidential palace housing a staff of 2,700 which constitutes a bureaucracy that potentially can take over the other ministries of state, leaving a seemingly unchanged government in place that behinds the scenes follows orders from the palace. 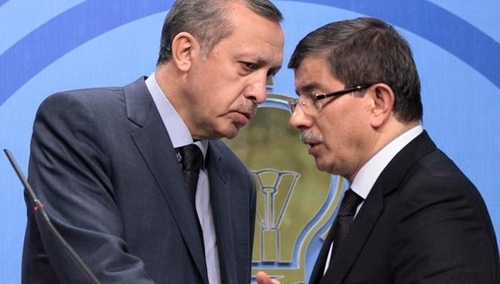 Turkey's President Erdoğan (l) gives Prime Minister Davutoğlu (r) his marching orders. Erdoğan will surely sideline parliament as well; not by turning it into a grotesque North Korea-style rubber-stamp assembly but into an Egypt- or Iran-style body consumed with secondary matters (school examinations, new highways) while paying close heed to wishes of the Big Boss. Then, to complete his takeover, he will deploy his many tools of influence to control the judiciary, the media, corporations, the academy, and the arts. He will also shut down private dissent, especially on social media, as suggested by the many lawsuits he and his cronies have initiated against ordinary citizens who dare criticize him. At this point, the Hugo Chávez/Vladimir Putin of Turkey, the one who compared democracy to a trolley ("You ride it until you arrive at your destination, then you step off") will truly have arrived at his destination. As a reward, he may even declare himself the caliph of all Muslims. 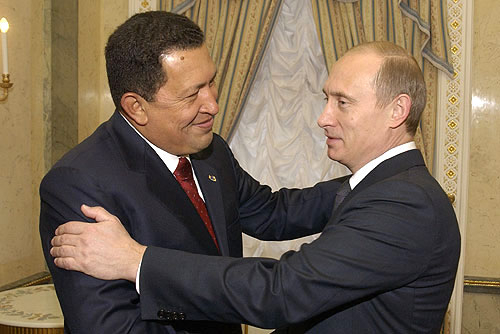 Chávez of Venezuela (l) and Putin of Russia (r) in each other's arms: But where's Erdoğan? Returning to the present: The number of AKP seats in parliament hardly matters because Erdoğan will do what it takes, legally or illegally, to become the new sultan. He will not have to "share power," but will seize more power by hook (sidelining parliament) or crook (electoral fraud). Foreign capitals need to prepare for the unpleasant likelihood of a rogue dictatorship in Turkey. Oct. 26, 2015 update: Kadri Gürsel explores various possibilities should the AKP not win a majority of the votes, including Erdoğan forcing a third round of voting. But he does not raise the sidelining of parliament as one of the president's choices. Oct. 28, 2015 updates: (1) The Guardian headline sounds promising ("Turkey election: Could bitterly divided nation be only a few steps away from a dictatorship?") but then the subtitle ("Fears that if President Erdoğan wins a simple majority of 276 seats in the 550-seat parliament, he will establish an authoritarian presidential system") clarifies that the article author, Patrick Cockburn, fails to see the sidelining that lies ahead. (2) Sayed Abdel-Meguid asks in Al-Ahram whether the AKP will be able "to rule alone again, or will it be forced to look for a coalition partner, again? The latter would mark the beginning of the end for Erdogan and his imperial project." The emergence of another divided parliament with no clear majorities should, under current circumstances, be viewed positively. It will mean the end of majority rule. And the establishment of a broad-based coalition government will force the Turkish political class to relearn the art of consensus politics. But this more optimistic scenario will emerge only if there is an understanding among Turkey's political leaders, including President Erdoğan, that the country has indeed entered the era of coalitions after thirteen years of single-party rule.